Cooking and Barbecuing just got a whole lot easier with our Butcher Department! Quality is what we strive for with our meat and poultry items. Everything in our meat case is prepared fresh daily by our on-site staff. We offer several pre-marinated and pre-seasoned poultry, beef, premium pork and domestic lamb items to cut down your time in the kitchen. 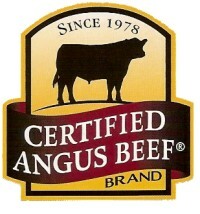 We carry only USDA Choice grade Certified Angus Beef, and will special order USDA “Prime” cut beef upon request. Choose from our most popular items like Rib-Eye, New York, Top Sirloin Baseball Steaks to name a few. You can be sure every bite is flavorful, tender and juicy. Our 100% Ground Chuck is prepared daily, with less than 10% fat, it’s the ideal ground beef for juicy hamburgers and tasty tacos. Seasoned Lamb Chops, Stuffed Pork Chops, Oven Ready Meatloaf, locally handmade Italian Sausage and the chicken and beef kabobs are also a must-try! Oh, and don’t forget to pick up one of our recipe cards that gives you step by step, no-brainer instructions on how to get your dinner on the table.